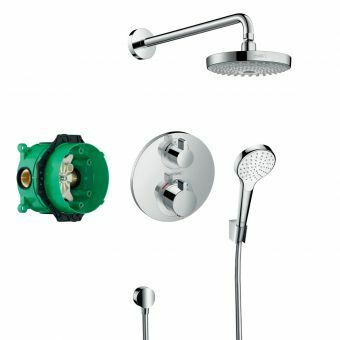 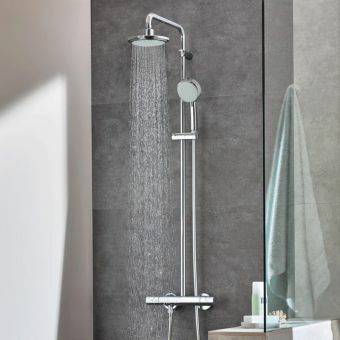 Featuring a handheld shower head and thermostatic shower valve, the Grohe Euphoria 180 Shower System is an efficient system to install in a bathroom. 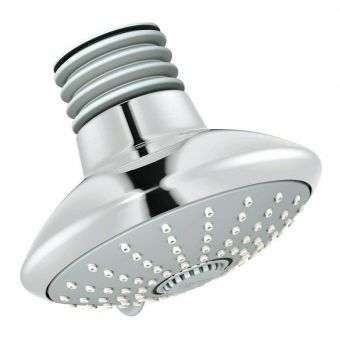 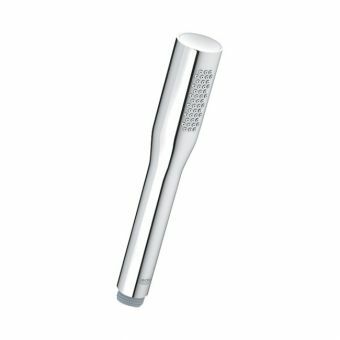 It provides the convenience of a traditional shower with the flexibility of a handheld shower head. 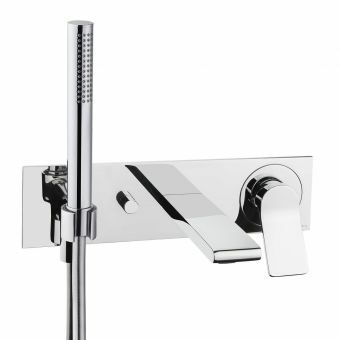 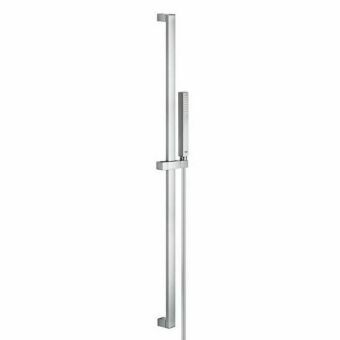 The horizontal shower arm swivels for convenience and is 390mm long so it will sit comfortably in any shower enclosure. 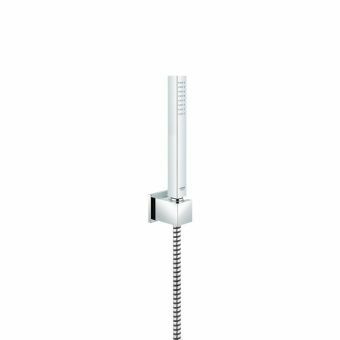 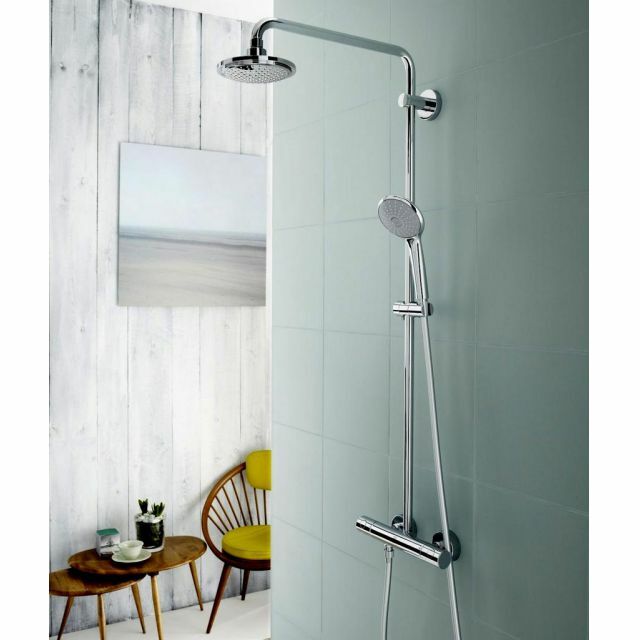 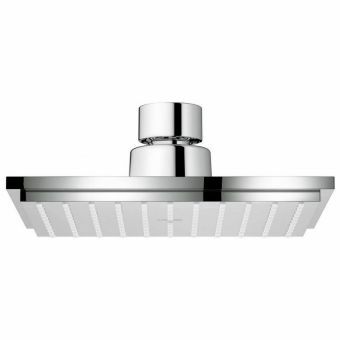 The exposed thermostatic shower head has an Aquadimmer function that is easy to use. 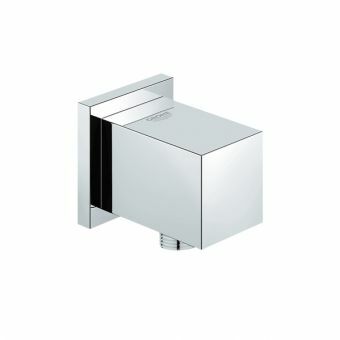 Additionally, there is a minimum flow rate of 7 l/min meaning it is flexible enough for most installations. 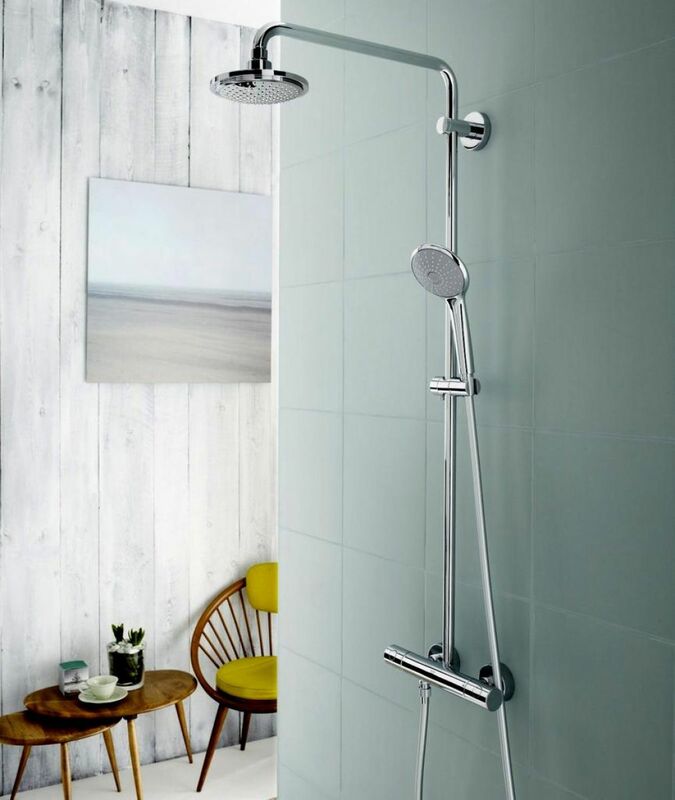 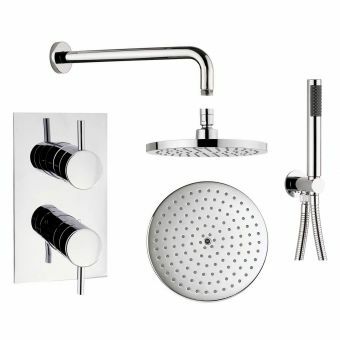 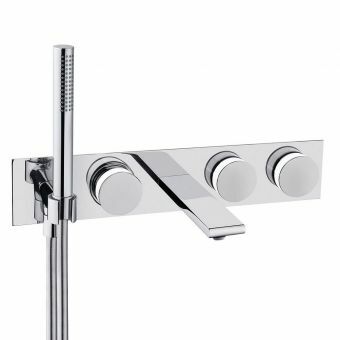 With a chrome finish, this shower system looks great in a modern or contemporary bathroom with matching fixtures and it even includes an anti-limescale system to make it last longer and be easier to clean. 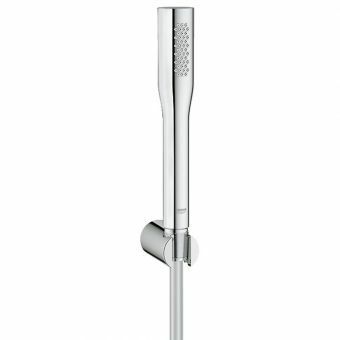 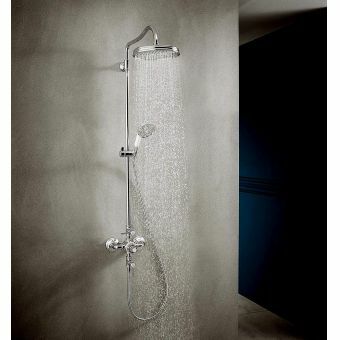 This Grohe Euphoria shower system is the perfect addition to a complete bathroom remodel or a simple update. 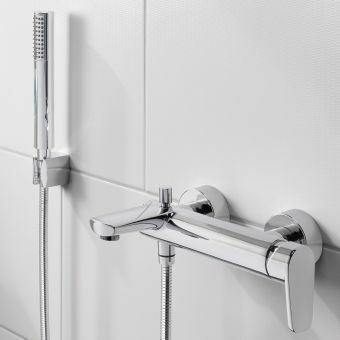 For ease of installation, a wall cavity installation part can also be ordered which is hidden behind the tiling but perfectly lines up the pipework ready to fit the thermostatic valve.